Faulkner University has been a part of Montgomery, Alabama since 1942 when Dr. Rex Turner, Dr. Leonard Johnson and Joe Greer established Montgomery Bible College on a few acres on Ann Street. Their mission was to create an institution that provided preacher training and education based in God’s Holy Word. Over the years, the school continued to grow. It was renamed Alabama Christian College in 1953, and 11 years later the present property on the Atlanta Highway was purchased. In 1975, the college opened extended campuses in Birmingham, Huntsville and Mobile. The Thomas Goode Jones School of Law was acquired in 1983, and a year later the college was accredited as a four-year university. In 1985, the college was renamed Faulkner University in honor of businessman and longtime supporter, trustee and chairman of the board, Dr. James Faulkner of Bay Minette, Ala. Dr. Faulkner served as mayor of Bay Minette from 1941 to 1943, and was said to be the youngest mayor in America at that time. He was also a state senator and a two-time candidate for governor. In 1947, Dr. Faulkner partnered with Bill Stewart to purchase the Monroe Journal from A. C. Lee, Harper Lee’s father. The university is now home to five colleges: the Alabama Christian College of Arts and Sciences, the Harris College of Business and Executive Education, the V.P. Black College of Biblical Studies, the College of Education, and the Thomas Goode Jones School of Law. A growing number of degree programs are now offered online, in addition to on-ground programs at our campuses. In the years since the college became Faulkner University, the campus’s physical plant has grown to include new buildings for classrooms and administration, new residence halls and apartments, a student multiplex, modern facilities for the football, soccer, baseball and softball programs, and a fine arts theater that houses the acclaimed Faulkner University Dinner Theatre. Plans are also underway for a major renovation of the Gus Nichols Library. One thing that hasn’t changed since our founding days is our mission to be a distinctively Christian university, where God’s Word is taught and respected, and where students are encouraged to grow in intellect, character and service. 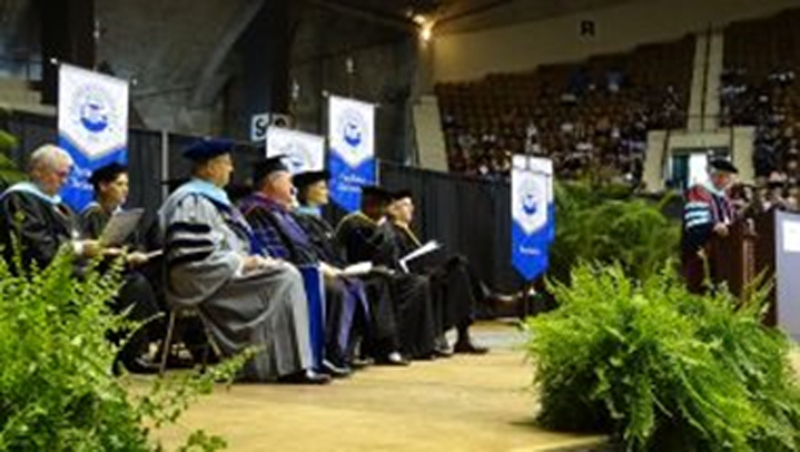 Faulkner University is proud of its continuing role as a growing and dynamic part of the Montgomery community and the higher-education community throughout Alabama.